Repairing electronic devices could be considered an art. It requires patience and a lot of care so that nothing else breaks and everything works again as before. It is more usual to see home repairs of computers than smartphones. The latter have delicate and small components , and a small pull could break that cable that connects the screen panel with the motherboard, or disconnect the camera or speaker. Smartphones with removable back covers are easier to repair, but there are few left. Most manufacturers choose to create them with one-piece metal bodies that prevent, for example, removing the battery. The Apple iPhone has never had a removable lid, so the smallest repair requires disassembling the device . Being an expensive mobile phone is afraid of spoiling it even more if you try to fix. 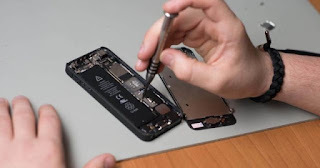 Luckily, the guys from iFixit make available to users the repair manuals of all the iPhone that have come on the market. In iFixit they are dedicated to evaluating the degree of reparabilidad of the products of Apple and other manufacturers like GoPro. If it is possible to fix certain aspects of the device by the user without having to resort to a technical center they also explain the process. In addition, they sell their own repair kits with everything necessary to carry them out successfully. 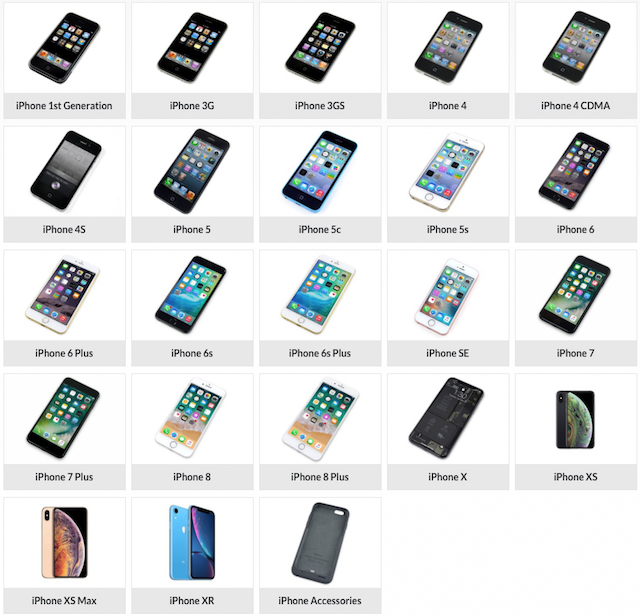 By just clicking on one of the iPhone in the list we will have access to all sections of the phone, the estimated time of repair, the degree of difficulty and other variables. For example, if we are interested in replacing the battery of the iPhone 8 the process is indicated step by step and we will have the possibility to buy the tools and the battery from the web page. If we have a broken device and we want to repair it, no matter how good a guide is and we consider ourselves crafty, it will always be best to take it to the Apple Store or an authorized provider .